The SSIP Portal calculates savings automatically using agreed algorithms from data entered by each individual SSIP member who accepts ‘Deemed To Satisfy’ (DTS), that is, recognition of another member’s H&S assessment against the SSIP Core Criteria. 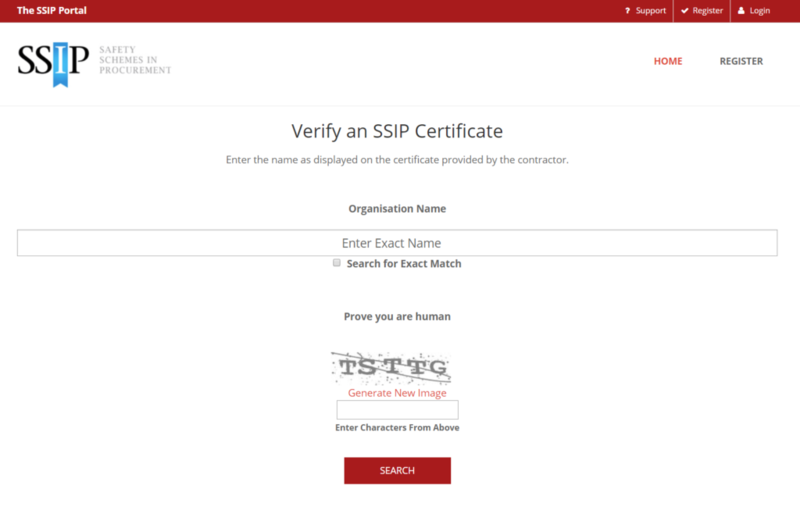 Every time a member accepts such DTS they are required to confirm the other members assessment by reference to the SSIP Portal and where this is confirmed members click on a ‘match’ button to confirm this. 4. Supplier savings estimated from not having to complete multiple PQQ’s for separate clients, where, as above bigger member schemes have multiple client-to-supplier relationships. Using this algorithm we can verify savings in 2018 for DTS alone to be £4,762,537.00, with additional Client & Supplier savings authenticated of £60,393,975.00. The SSIP Portal has been collecting data since March 2016 and these figures clearly demonstrate our mission statement to “act as an umbrella organisation to facilitate and maximise mutual or cross-recognition of health and safety assessments between SSIP member schemes”. The above figures do not take into consideration savings made directly by all our supporters who utilise the SSIP Portal to verify SSIP Certification with our member schemes.